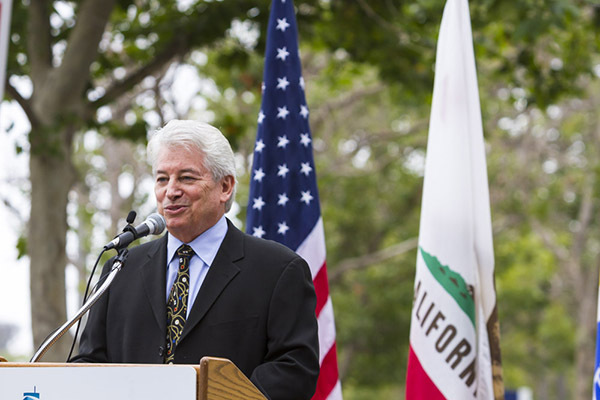 In an exclusive interview for Tie Lines, new Port of Long Beach Chief Executive Jon Slangerup, who took the reins July 1, discusses his background in the logistics and aviation industries, as well as his experience in developing advanced environmental technologies. 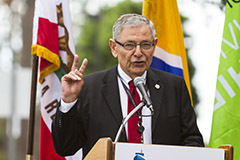 Slangerup also talks about the Port's relationship with the new Long Beach mayor and outlines his plans for the current direction of Port operations and his vision for a more sustainable future. Ports America, the largest independent terminal operator and stevedore in the United States, has announced plans to purchase a 30 percent stake in International Transportation Service (ITS) Inc., a wholly-owned subsidiary of "K" Line. Subject to regulatory approval, the purchase is expected to be completed by the end of August. 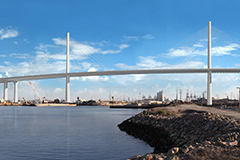 Plans call for the partners to incorporate Ports America's expertise, industry-leading technology and safety program into ITS' gate, yard and vessel operations at Pier G in the Port of Long Beach. 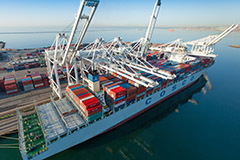 Ports America operates in more than 42 U.S. ports and 80 locations nationwide, including Port of Long Beach’s Total Terminals International container terminal at Pier T.
For fiscal year 2015, the Port of Long Beach Harbor Commissioners have approved a $17.3 million transfer to the City of Long Beach’s Tidelands Operation Fund, which is 5% of Port gross operating revenues, the maximum transfer allowed under the City Charter. The money supports community beachfront and marina projects. The latest transfer included, the Port has contributed more than $277 million to the city's Tidelands Fund since 1995. Rep. Janice Hahn, D-San Pedro, has introduced federal legislation that would transfer 5 percent of the all import duties collected by U.S. Customs and Border Protection to a freight trust fund for transportation projects. 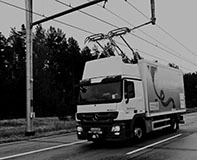 The National Freight Network Trust Fund Act of 2014 would create a dedicated source of funding for improving roads, bridges and other infrastructure that support goods movement across the country. Separately, Hahn also recently co-sponsored an amendment to increase spending of the Harbor Maintenance Trust Fund. 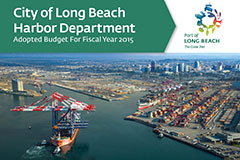 Passage of both initiatives would benefit the Long Beach and Los Angeles ports, which are key contributors to both sources of federal revenue but received few federal grants in return. Maersk Line and Mediterranean Shipping Co. have announced a 10-year vessel-sharing agreement on east-west trade lanes. 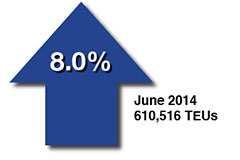 Pending regulatory approval, the alliance known as 2M is expected to start in early 2015. 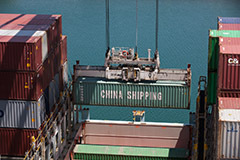 The new consortium comes after a proposed P3 Network, which was to include Maersk, MSC and CMA CGM, was rejected by China's Ministry of Commerce.